Jean Nogues learned first-hand about hard work and responsibility at an early age. Jean comes from a long line of Basque sheepherders, whose roots in the Pyrenees Mountains of Southern France go back to at least the 17th Century. When they came to the United States, Jean’s family continued sheep ranching operations in Southern California, and some of Jean’s earliest memories include herding bands of sheep from field to field--and even down Main Street--in his home town of La Puente. Sheep ranching was just the first of many jobs Jean held before deciding to become a lawyer and attending UCLA Law School. He worked as a gardener; he was a stock boy/checker at a small grocery store; he flipped burgers at McDonald’s; he unloaded trucks and was later a department supervisor at Sears; and he played the piano, accordion, organ, and guitar at local bars, dances, weddings, and bar mitzvahs. Jean was perhaps fated to end up at MSK, since the first of several bands he played in was inspired by long-time MSK client Herb Alpert & the Tijuana Brass. Jean’s eclectic work history reflects his broad-ranging interests and desire to experience all life has to offer. 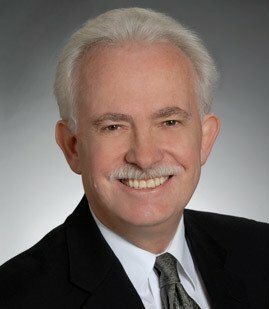 His breadth of interest and experience carries over to his law practice, where Jean daily deals with a wide variety of cases, and applies the skills and knowledge he has gained over 37 years as a trial lawyer to resolve disputes and achieve his clients’ objectives. During his spare time, you can find Jean fly fishing in the Eastern Sierra, playing golf or singing at his local parish. He can still occasionally be spotted playing piano at weddings. Jean Nogues handles complex business litigation including securities, antitrust, unfair competition and business torts, ERISA, insurance coverage, accountant liability, and land use/environmental matters. Defended a charcoal manufacturing and distribution company in an antitrust class action alleging price fixing and territorial/customer allocations. Case settled favorably to client. Have successfully represented clients in DOJ antitrust investigations. Represented an online content provider in a case where it asserted that ICANN and the operator of a top level domain had violated the antitrust laws. Case settled favorably to client. Successfully defended the creator of popular online games against claims that it had violated the antitrust laws, and had engaged in unfair competition. Successfully represented a major music retailer and a vacuum cleaner manufacturer/distributor in a number of cases asserting antitrust and related claims. Successfully represented a major record label against antitrust claims relating to distribution practices. Prevailed on summary judgment. Represented a major insurance company in multi-district litigation involving financial fraud and the enforceability of policies purporting to insure payments under leases. The insurer sought rescission of policies and related agreements. These cases involved claims totaling over $400 million, with our client's potential exposure at over $100 million. Successfully defended individual and corporate clients against a $5 million-plus claim for trade secret misappropriation and breach of fiduciary duty that arose when plaintiff’s president left plaintiff’s employ and joined the corporate defendant. Jury verdict for our client followed a three week trial in Riverside Superior Court. Successfully represented multiple clients in ERISA benefits and withdrawal liability matters. Represented a major Japanese automaker in a suit alleging antitrust and Business & Professions Code § 17200 claims. After a successful summary adjudication motion defeating several of plaintiff's key claims, the case was settled on favorable terms for our client. Successfully represented a major Korean automaker in an antitrust matter asserting horizontal division of markets based on alleged cooperation of competitors. Successfully prosecuted claims of a city and its community redevelopment agency against accountants and brokers for losses sustained in investments in government-backed securities. Successfully represented a city in connection with matters arising out of collapse of the Orange County Investment Pool and subsequent bankruptcy including claims asserted against county investment pool, SEC proceedings, and other government investigations. Obtained a $33 million verdict after a six-month trial in a Nevada case seeking recovery for pension trust loans to a casino owner. Successfully represented California Insurance Commissioner in claims against accountants of insurance company seized by Commissioner. Successfully represented developers in CEQA, zoning, and other land use challenges relating to water district’s efforts to run major power transmission lines through the middle of a planned development. Represented both insureds and insurance companies in complex insurance coverage disputes.